Hello everyone, I have some very exciting news! 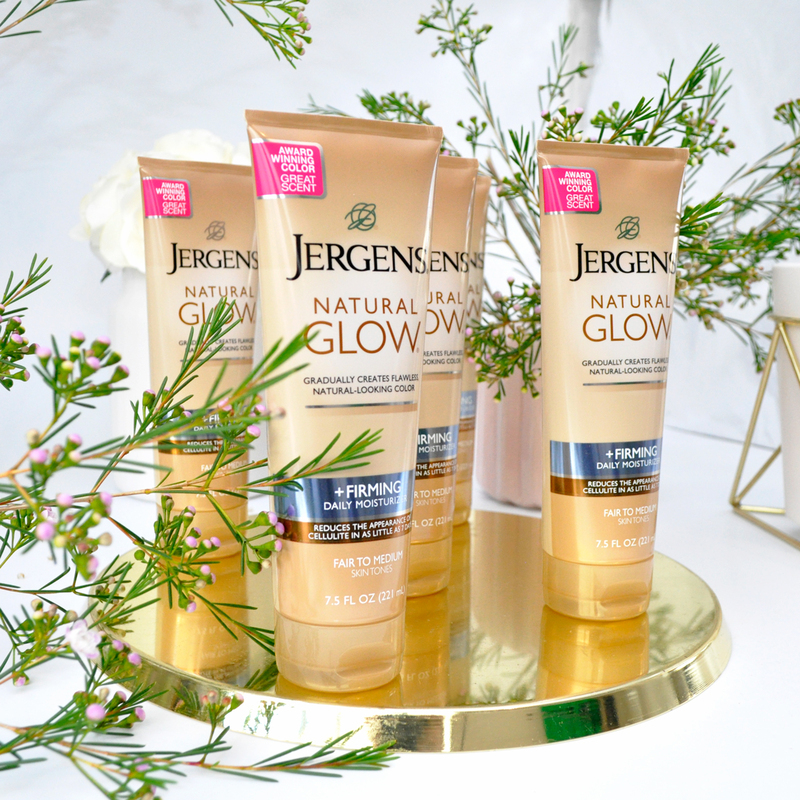 I’ve teamed up with Jergens Australia to give away five Jergens Natural Glow +Firming Daily Moisturizers (Fair to Medium Skin Tones) to our amazing Aussie readers. These uniquely beautiful moisturizers are the perfect lightweight consistency. The formula allows you to build a tan gradually within hours of application, whilst reducing the signs of cellulite at the same time. It leaves my skin moisturized and firm, keeping it looking healthier and sunkissed for longer. Two birds one stone, am I right?! So don’t give up hope on maintaining that gorgeous summer glow throughout winter because we have you covered. Here is how I achieve the perfect sun-kissed glow using Jergens Natural Glow +Firming Daily Moisturizer. Exfoliate, prep your skin with an in-shower body scrub. Dot a small amount of moisturizer along your elbows, knees, armpits, and ankles pre-tanning to prevent over-absorption in those areas. 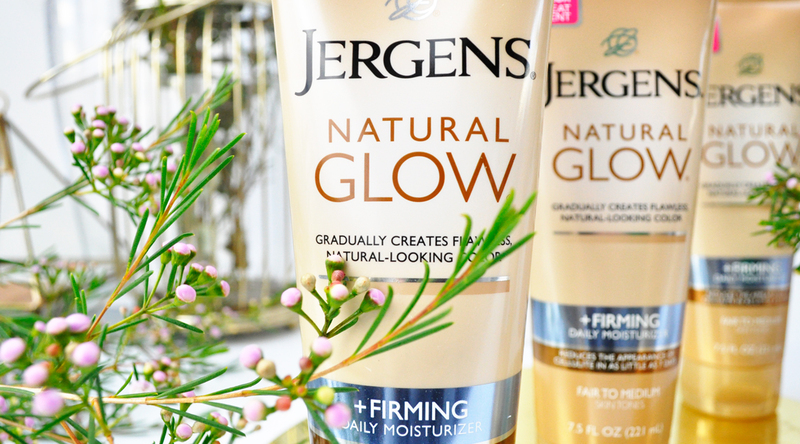 Smooth Jergens Natural Glow +Firming Daily Moisturizer on evenly and thoroughly just as you would with any daily moisturizer. Rinse excess residue from the palms of your hands, between your fingers and around your nails. Allow several minutes to dry before you dress and avoid getting wet for at least 3 hours after application. 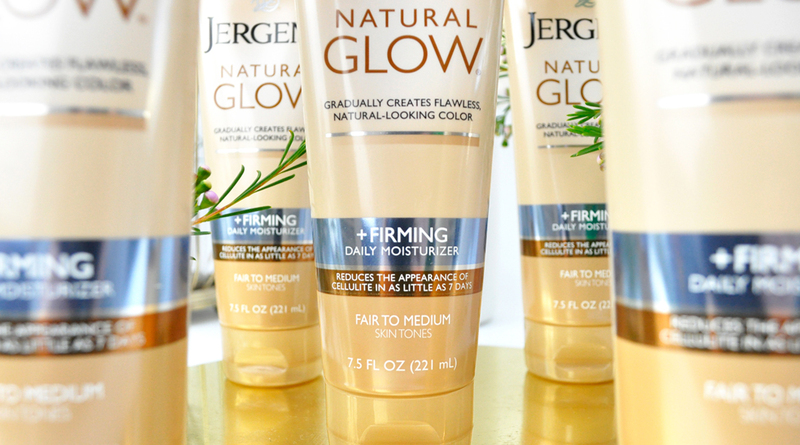 Have you tried Jergens Natural Glow range of products yet? What are some of your go–to sunless tanning essentials? Head over to www.jergens.com.au to find out more about their extensive range of products. I use the natural glow tinted tanning lotion but never tried this one!